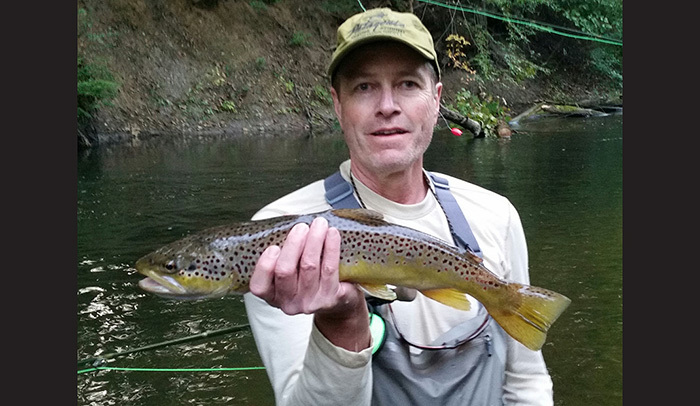 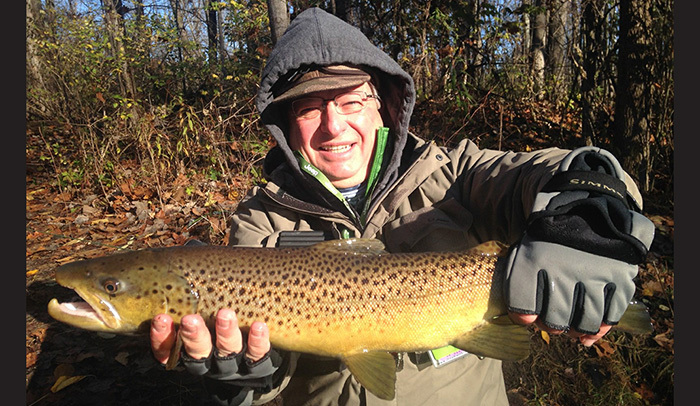 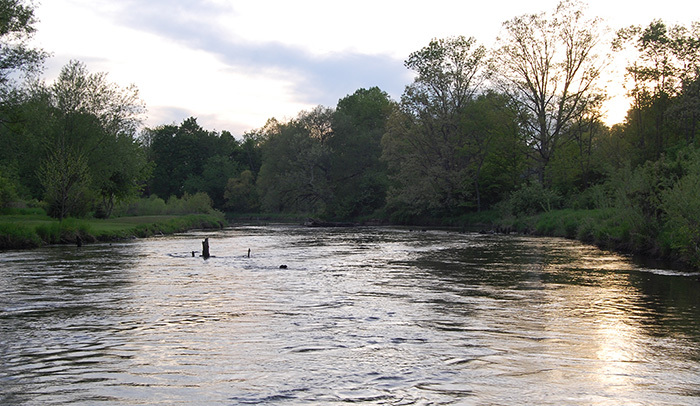 There are numerous small trout streams between northern Indiana and central Michigan that we fish. 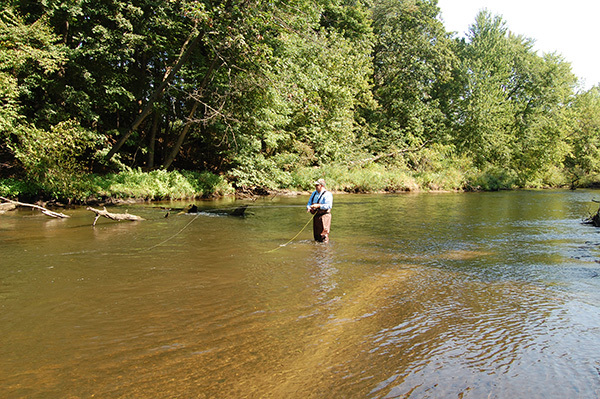 Most of these streams are for the walk and wade angler only, but there are a couple that we float. 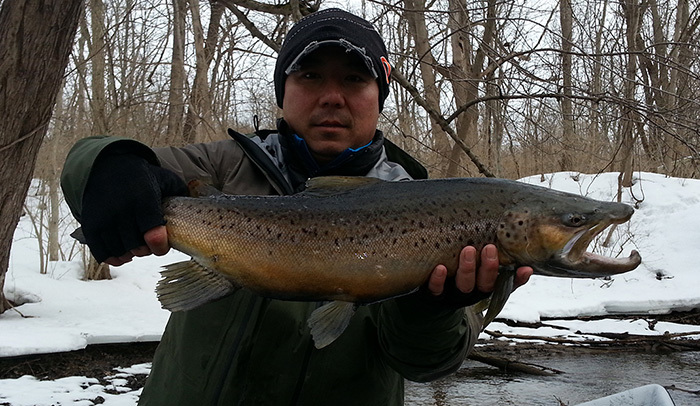 The fishing is year round, but the fishing really picks up in April when the browns start chasing streamers. 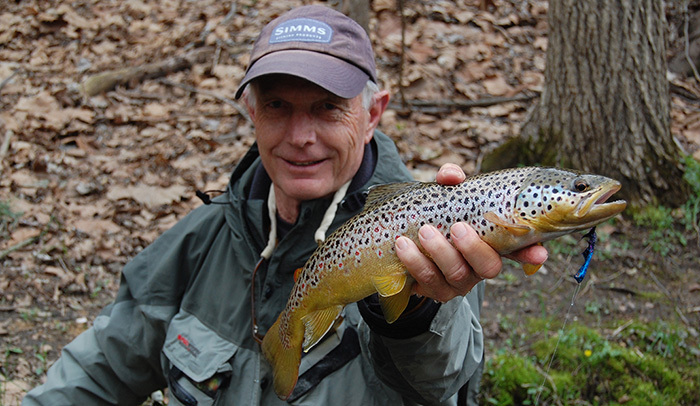 By mid-May the caddis and mayfly hatches kick into high gear and the dry fly fishing can be great to say the least. 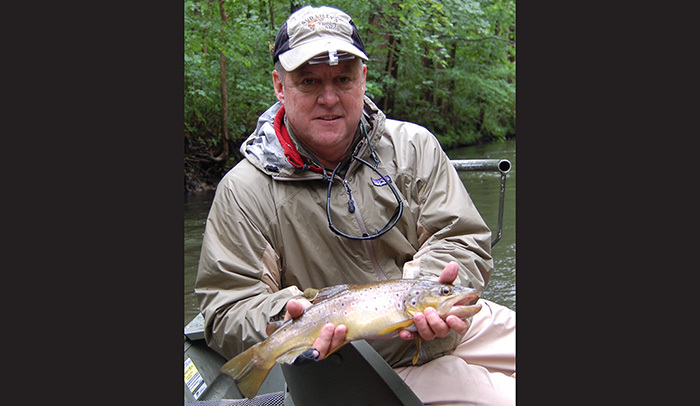 Some of the most exciting fishing begins around Memorial Day when the brown drakes begin to emerge in clouds. 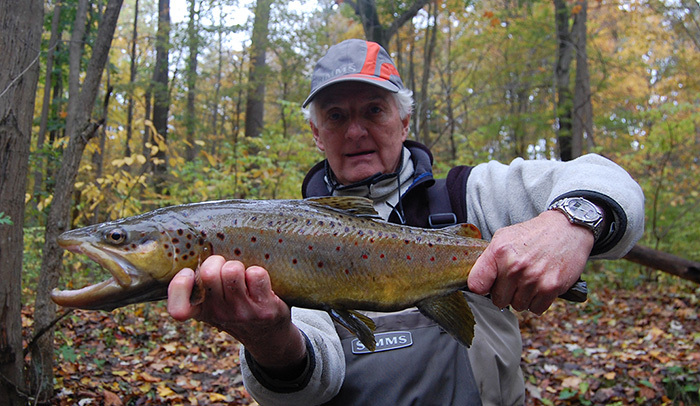 The fabled hex hatch comes on the heels of the drakes. 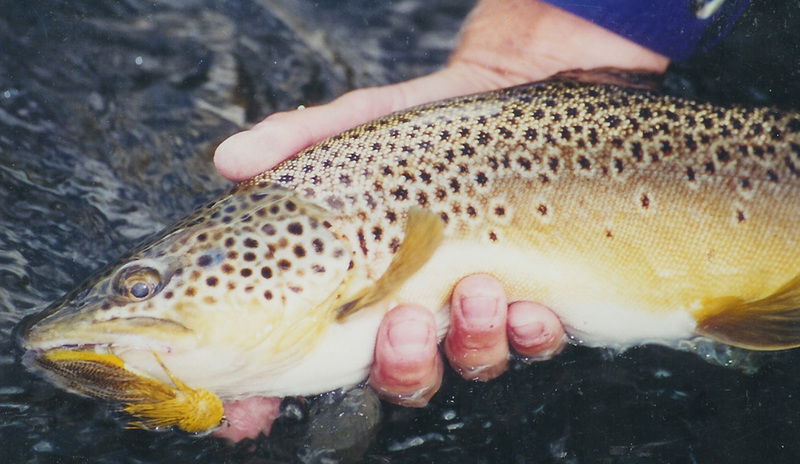 The dry fly fishing isn't limited to the hatches though because these rarely fished streams are a terrestrial fisherman's dream. 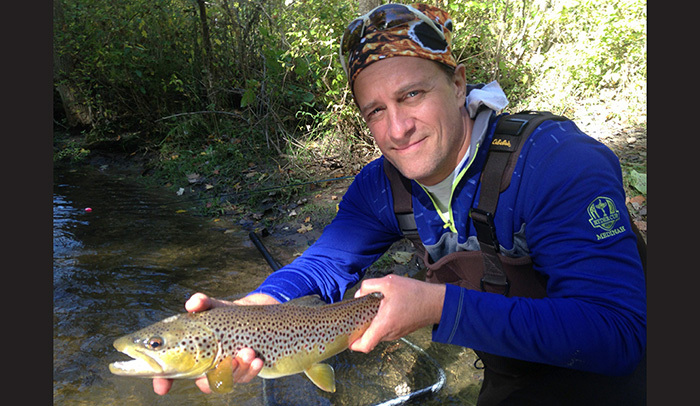 One of these streams consistently turns out 20-inch fish and there is always the possibility of a true trophy. 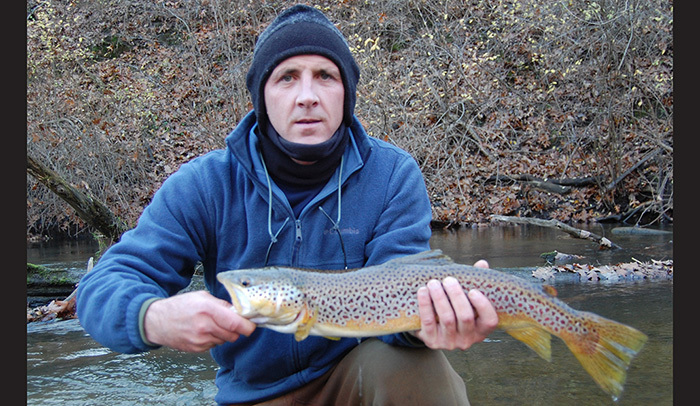 If you are tired of fighting the crowds give one of these small streams a try.